Third annual Northwoods Pond Hockey Championship in February to draw nearly 50 teams for winter fun and to help supply clean, safe drinking water for people half way around the world. Northwoods Pond Hockey tournament to draw dozens of teams. 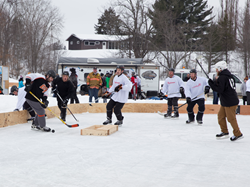 “Pond hockey seems a perfect venue to blend a love of winter sports with a chance to help total strangers living in a far different environment.”- Jon Scally, tournament organizer. Amateur hockey teams from around Minnesota will play a unique role in the development of water wells for people desperately needing clean drinking water in Africa. 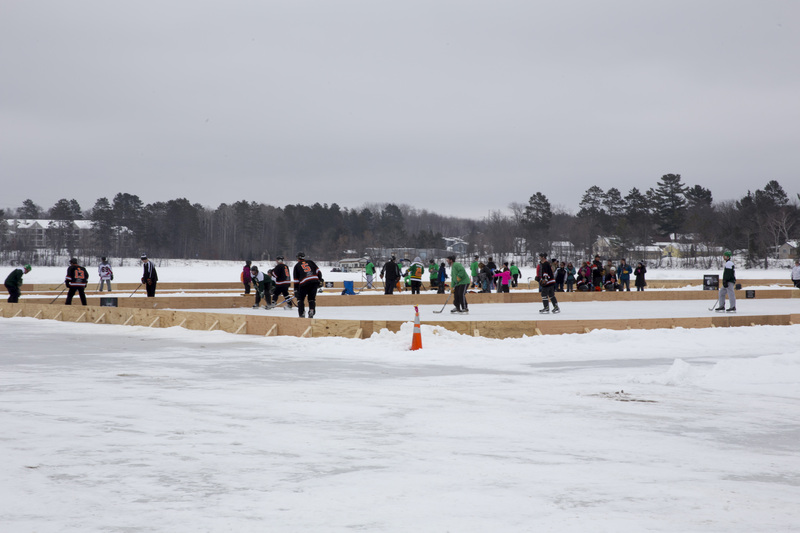 Organizers of the annual Northwoods Pond Hockey Tournament today announced registration details for the third annual event, which is designed to get people outside to enjoy Minnesota’s premier winter sport in its authentic setting – a frozen lake. The all-day Northwoods Pond Hockey Tournament is scheduled for Saturday, February 10, from 8 am to 7 pm. This year’s event will take place on McKinney Lake, adjacent to the IRA Civic Center in Grand Rapids. Billed as a fun, entertaining event for players and teams of all skill levels, the event has quickly grown to be among the more popular pond hockey tournaments in northern Minnesota. With exceptional fan support, it has also developed a base of community giving to help charitable organizations. This year, the charitable giving expands internationally with the bulk of money raised destined for WorldServe International, which brings clean, safe drinking water to East African communities. According to WorldServe, in Ethiopia alone, one in five children die due to the lack of safe water. Inspired by such a troubling reality, local organizers created a tournament theme this year ‘Turning Ice into Water” to help call attention to needs of others in other parts of the world. Organizers have established three skill-based tournament brackets to accommodate a total of 48 teams for the one-day event. With gold, silver and “last pick” divisions, the event is truly designed for all players, from beginners to seasoned hockey fanatics. Registration runs from now to January 22, with first-come/first-serve prioritization. Teams are encouraged to register sooner rather than later to secure their berth for the event. Tournament details, including registration forms and sponsor opportunities can be found at http://www.pondhockey.graog.com/. A portion of proceeds raised will be earmarked for local charitable cause to be chosen by the winner of the Last Pick division.